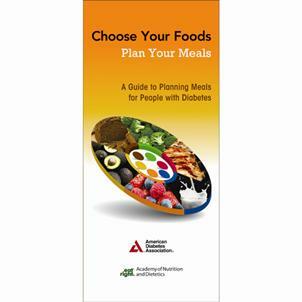 Simple guide for healthy diabetes meal plans. Manage blood glucose levels for type 1 and type 2 diabetes care by choosing the best foods! A great introduction to healthy eating that makes it easier for patients to make healthy choices. Provides preparation for meeting with a registered dietitian.